Mr. Gutierrez is a member of the State Bar of California; the United States District Court for the Central, Southern, and Eastern Districts of California; and the United States Court of Appeals, Ninth Circuit. He spent the first eight years of his career litigating labor law and federal ERISA cases, which gave him experience practicing in both state and federal courts. 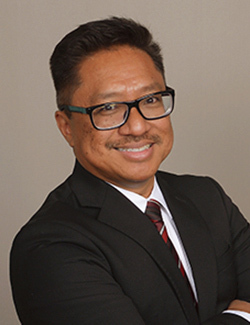 Mr. Gutierrez joined the Ontario office of Dietz, Gilmor & Chazen in 2018. He has been litigating workers’ compensation cases since 2002 and handles all aspects of workers’ compensation claims. Mr. Gutierrez enjoys spending time with his wife and three boys, who are actively involved in AYSO soccer.